By now you should know how much we enjoy good music, Ehis Endurance born and brought-up in Benin City, Edo State and the Owner of "Artbeat Records", his giving us an introduction of himself into the industry with what he knows best. Clearly, there is no doubt that with time Ehis will launch into limelight with this kind of startup. 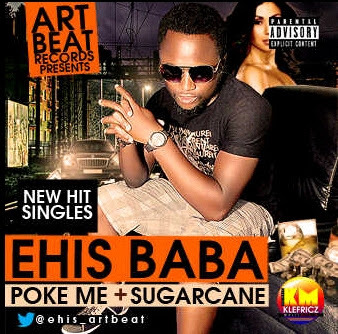 Adding to the string of this tracks Composed by Ehis Baba, "Poke Me" produced and Matered by PedroPlugs and "Sugar Cane" was produced by Stunna, Mixed and Mastered by PedroPlugs. Killer Tunes, watchout for "Poke Me" Video.